While licenced customs agents and brokers think that operatives of the Nigeria Customs Service have not done much in facilitating trade, the customs service on its part demands honest declaration to support trade facilitation efforts. This concern was raised at a stakeholders meeting held at the secretariat of the National Association of Government Approved Freight Forwarders(NAGAFF) while the Assistant Comptroller-General, Zone ‘A’, Eporwei Edike paid a courtesy visit to the association. Members of the association had argued that the customs service emphasized more on revenue collection over efforts to facilitate trade that would bring out the revenue. Speaking one after the other, the NAGAFF members said for a long time they had faced challenges of faulty scanners at the ports, which resulted in delays resulting from full physical examination of containers. Responding, ACG Edike said the freight forwarders must play by the rule of ‘honest declaration’ for trade to be facilitated completely to the benefit of all parties. “We can only facilitate trade to the extent that you permit us, by reason of your declaration because if we find out dishonesty in your declaration, we will issue you a Debit Note. “So, we are saying ‘compliance.’ We cannot sacrifice national security for trade facilitation. “However, you would recall that it was in the spirit of trade facilitation that I transferred 40,000 containers out to other areas while I was the Customs Area Controller in Apapa,” Edike said. He promised that as part of efforts in trade facilitation, the challenges of faulty scanners at the ports would be fixed soon, considering talks by the service with the finance minister. On the issue of lane selection for containers, the ACG said the selection of lane for containers was done by a machine and not influenced by anybody. He explained that the machine selected a particular lane for a container after it must have profiled the documentation by an importer or agent to verify compliance level. 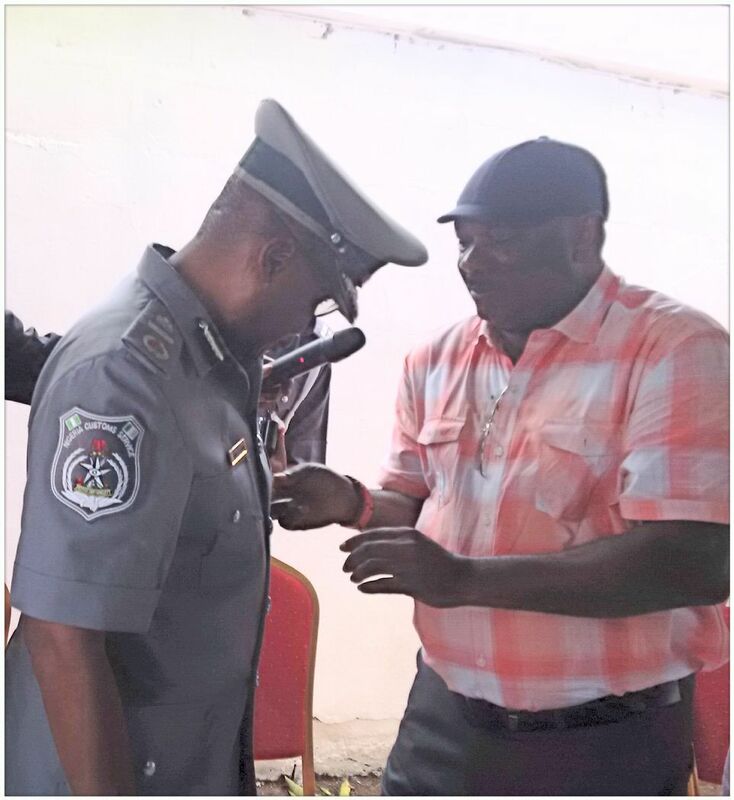 He encouraged the freight forwarders not to accept any form of intimidation from officers if they were sure that they were doing the right thing. Edike also urged them not to pay any ‘registration fee’ allegedly being demanded by some officers for document processing. He made clear that the federal task-force on the highways would remain because of their success stories that have saved government revenue loss and checked the proliferation of arms and ammunition into society. While the customs service said it didn’t want to be dragged into association politics on matters of who should be issued a customs licence, the Founder of NAGAFF, Chief Boniface Aniebonam, said the licence was best issued to individuals and not corporate organisations. Aniebonam argued that the issue of compliance as demanded by the customs service was better managed with an individual. “Our membership cuts across corporate and individual practitioners, but the truth is, customs needs to deal with the individual who is a professional, not the corporate body. “The problem of the customs service today is compliance, and it is the individual that needs to comply,” Aniebonam said. The NAGAFF founder said that granting licence to only corporate organisations negated everything they had tried to do, because corporate licences gave room for foreigners to operate as customs agents.